One prize given away every week! 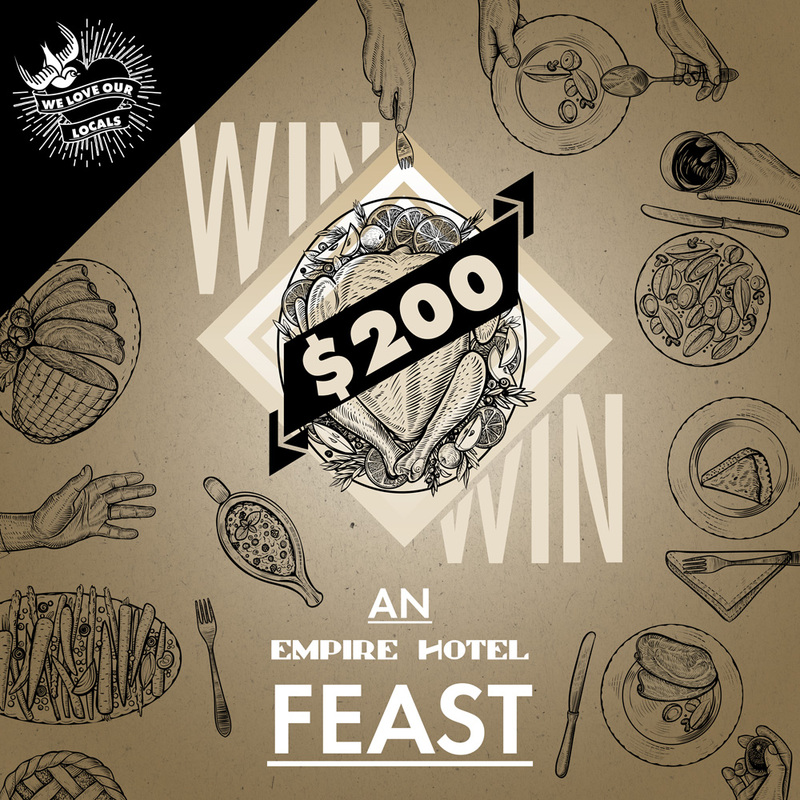 WIN $200 Fridays Food & Drink! To celebrate being local, we are giving away $200 in food and drinks to a lucky local every week to be used on the best day of the week, FRIDAY! Simply enter your details below and you and four mates, work colleagues or ring-ins will go into the draw to win!We are giving one away every week and can be used on any of our food and drink menus on a Friday! The lucky winner will be drawn every Monday and notified by phone and email. Please ensure you give your address details so we know where to mail your prize! *by entering the draw you are giving the Empire Hotel permission to contact you with special offers and promotions.